Of all the things that those windows bring with it; none has filled me with such great joy as do the birds that flock to the flowering crab apple trees immediately beyond them. Birds have always held keen spiritual significance in my life, and the truth is I can get lost just watching them hover around a bird feeder or jump from tree to tree. Several times a day, I find myself just leaning on the sill and watching them fly. Throughout the day, those birds are my mental health break. All this said this post arose from the odd happenings outside those windows. Over the last few weeks, we have witnessed the arrival of a flock of Cedar Waxwings (captured in the Audubon picture above). From my very limited research, the birds live in communities and during the winter, they move as one from one group of trees to the next. As they do, those birds will wipe out whatever remains of the berries on the tree. The community that has descended outside those windows is a rather small one of maybe 100 birds. 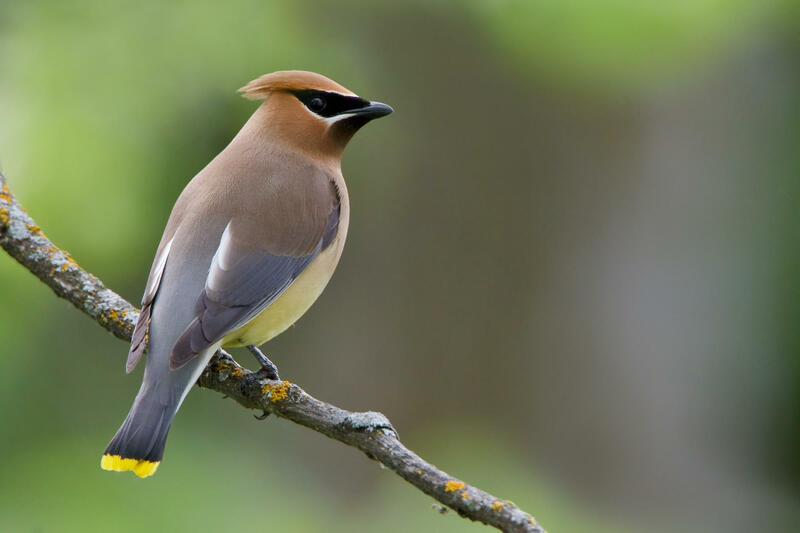 I have discovered that Cedar Waxwings are sometimes considered the most stupid or, at least, the oddest birds of the Audubon kingdom. They display a handful of the most curious of behaviors. First, they tend to be the drunkards of the bird kingdom. As the birds spend the winter jumping from tree to tree, it is not odd to seem them engorging on massive numbers of berries from day to day. Sometimes, those berries have begun to ferment. It is not unusual to see drunk Cedar Waxwings at the base of the tree acting like your stereotypical frat brother on spring break. Sadly, as of today, I have not yet witnessed the bird version of Key West with our flock. What I have seen seems equally as odd, if not exponentially more heartbreaking. I have learned that in the waxwing community there exists a very firm and established hierarchy. Of the 100 plus birds maybe there is a half dozen that we would classify as bird leaders or trail setters. These leader birds act as scouts. They will fly to a clump of trees first, and if the berries are attractive to their bird pallets, eventually the others will notice, and soon they too will descend. When these leader birds decide they want to try a different tree, after a few minutes, the flock follows. And that is where the stupid comes in. I want you to picture those leader waxwings arriving at the trees outside my window. After a few minutes, the others descend. After a while, something kicks in for the leader birds. Maybe it is the crowd, maybe it’s the desire for the next best thing, or maybe it’s simply a desire to be a step ahead of everyone else like a pace setter. Whatever their reason they take off. Those waxwings see another set of trees conveniently just a few feet off. With a dash they shoot off the tree; only to smack beak first into my window and the reflection of the tree they just left. Sure that happens to all birds from time to time, but waxwings are not the brightest of birds in the flock. For those leaders, for the best and the brightest of the waxwings, they cannot seem to figure out why they can’t make the new set of trees, and won’t stop trying. A vicious circle of bird carnage ensues four feet away, outside of my window. The cycle seems to be standard for these birds. After smacking beak first into the window, the dazed bird returns to the tree where he or she proceeds to spend a moment shaking it off. After a few minutes, they try again. For the last two weeks, this cycle has been continuing, again and again, mere feet away from me. Four or five leader birds have been repeatedly throwing themselves against those windows with a thud at a rate of just shy of a dozen hits per hour. You can even sense the frustration in the birds. After a hit, they will flap right to within inches of the window and just hover, flapping their wings like mad. You can see their brains trying to figure out a way past the bird in the reflection and to those berry trees a few feet away. For us inside, it is a constant harsh reminder of their stubbornness….and lack of IQ. Perhaps it is the fermented berries after all. Despite this, I love those birds. I wish I could tell them to stop. I wish I could figure out a way for them to learn their lesson after one hit. Recognizing the difference between reflection and real reward, is a concept they just cannot understand. I think about this never-ending and harsh cycle, and I cannot help but recognize that there is a great deal of theology in the behavior of those Cedar Waxwings. I think of those birds, and I can’t help but think of us. In them, I recall a lesson that has been shared constant times in this place. I think it was originally from a Christmas radio message from Paul Harvey. Those birds will not stop throwing themselves against that window. What they need is another bird to set them straight. They need another bird – a bird familiar to them – to keep them from hurting themselves over and over. The same applies to us. In our faith, we call that the incarnation. We worship a God, who took familiar form so that we would listen, and in that familiar form showed us a way. We couldn’t recognize what was beyond that reflection. We couldn’t even come to grips with it. So we threw ourselves again and again against the window. Thankfully, along came a God in the only form that would indeed make sense to us, and God told us to stop. Beyond the lessons this has for understanding the incarnation, I also see a community of birds that will sacrifice the blessings of this moment for the promise of a more flavorful tree off in the distance. Regardless of how beautiful, how appealing, how fulfilling that which is before them tastes, the second they see someone else or somewhere else, they will sacrifice everything and follow; leaving a treasure behind. If that isn’t human spiritual nature, I don’t know what is. The biggest part of our faith journey is about recognizing our blessings at this moment, and understanding that God stands alongside us. No matter how hard, how crappy, or how dark, that one help remains true. Even when times are good, it is so easy to be tempted by the promise of something else, somewhere else. Our faith journey has to have in it a component that helps us recognize the beauty and blessing of this moment. I am convinced that God’s Grace will always be found in the journey and the work, rather than reaching the destination of a never ending journey. As we stand in our moment, we need to contemplate your journey that looks backward and forward. As you do, you can grab ahold of the joy of what was, and the promise of what will be. Somehow we got to figure out a way not to get so caught up in either so that you miss what is currently at our feet. For me, this has been the hardest lesson of my journey. I do hope that I can remember that the Grace is in the work. The Grace is now.